The drive along the route nationale was beautiful as the rolling hills of Champagne came into view. We arrived in Le Mesnil-sur-Oger around 11:00 and to our tasting with Launois Pere et Fils. This house boasts an impressive wine museum which can be visited as part of a degustation. We tried several of their wines noting light earth, pear, and toasty smells which slid vibrantly over the tongue. Unfortunately they were sold out of many of their older vintages leaving us to settle for a case of the NV Cuvee Reserve and of the 2004 Millesime. All this driving and tasting had worked up an appetite so we drove to La Table Kobus in Epernay for lunch. We had a beautiful lunch comprising of mostly fish and paired it with a nice bottle of Leclerc-Briant. After spending the better part of two hours at lunch we were ready for our next tasting and drove to Verzenay where we spent the afternoon at Michel Arnould. The lady of the house was quite generous and poured us substantial tastings of seven different wines. We weren’t the only ones enjoying her hospitality as a group of Frenchmen chatting with her had obviously been tasting for most of the day. We were so impressed with the quality of the wines we bought three cases (NV Brut Rose Grand Cru, NV Fleur de Rose Grand Cru, & NV Grand Cuvee Grand Cru) and our first ever Magnum of champagne (1998 Prestige Grand Cru Millesime). After nearly four straight hours of tasting we decided to sober up and headed to the wine museum at the Lighthouse of Epernay. This museum devoted to all things champagne is quite technologically advanced and a very pleasant way to spend the afternoon. After sufficiently sobering up we headed to Reims where we visited the cathedral and other notable sites. We spent the evening at Assiette Champenoise a rather modern hotel just outside of Reims with a 2 star Michelin restaurant. The food itself was rather unmemorable, or perhaps just over shadowed by the wines we drank. We began with a glass of NV Krug which truly lived up to the hype with a gorgeous mouth feel an expressive boquet and the longest finish we’ve ever experienced. The star of the evening however was a bottle of 1998 Billecart-Salmon Cuvee Nicolas-Francois which truly wowed us. With each sip we discovered something new from different spices, to flowers to toasted notes. Since this trip, Billecart-Salmon has become our favorite champagne and we strive to find it for reasonable prices. Sundays in France are challenging as nearly everyone takes the day off. Thankfully capitalism rules at some of the grand marques and we were able to visit Mercier which is owned by the LVMH group along with Moet & Chandon and Veuve Clicquot. The wines themselves are mediocre and over priced as this is a house catering mainly to tourists. However, there is much to see here from the world’s largest oak barrel (holds 200,000 bottles of wine) and the 11 mile cellar tour on a train. 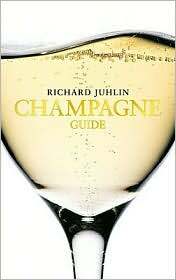 Richard Juhlin’s Champagne Guide was a great source of inspiration, and we decided another tour of Champagne was definitely on order.